Taking a nice long road trip is always more enjoyable when you have tasty road trip snacks to munch on. What makes a good road trip snack? Something that is portable, non-perishable, and easy to eat as you are putting miles on the highway. 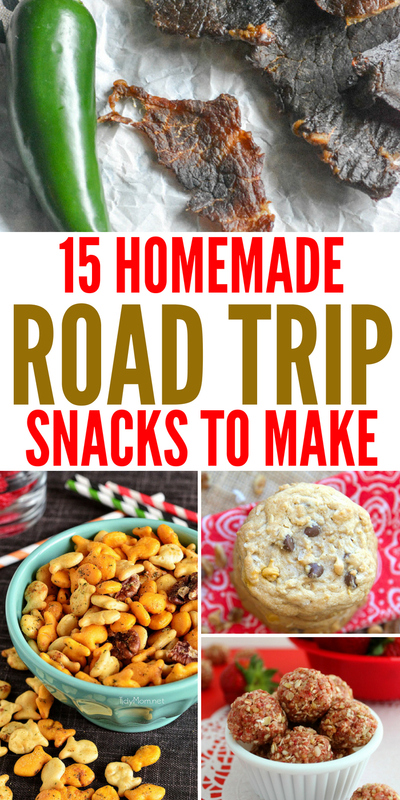 Behold below a handful of satisfying homemade road trip snacks that will fuel you and give you that energy to get to your destination. Not to mention they will taste yummy for all who munch on them! 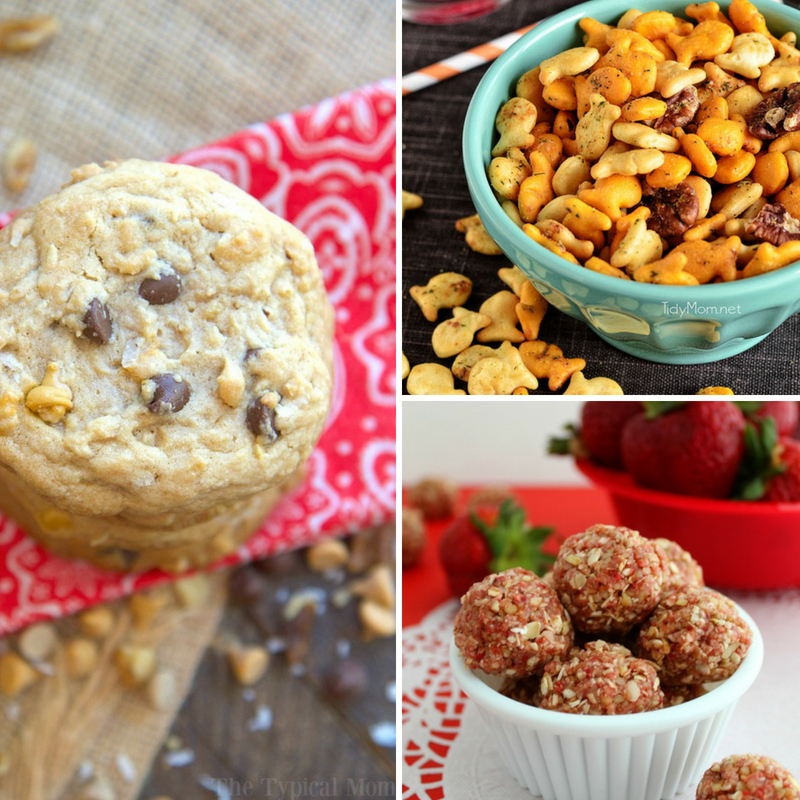 Homemade snacks are a great option and a lot of times a great way to save money, instead of buying convenient store priced items. Speaking of traveling, I have some great packing tips you might find helpful before you head out on the open road. Plus if you have kids, consider these road trip printables to help keep them busy as you are traveling along the way. I remember always asking, “Are we there yet?” so having printables will help save you from hearing that a gazillion times. Looking for a protein-packed snack, consider this oven jerky. You get that salty and smokey flavor of chewy jerky all made in your oven. No dehydrator needed for this satisfying snack. Another great protein snack is these protein Muesli bars. They will help fuel your body and give you that boost of energy to keep going in your road trip. Ranch popcorn gives you that salty factor that will help curb your appetite in a nice high fiber snack. Make this ahead and then put in sandwich bags for single servings for everyone to have a bag to eat. 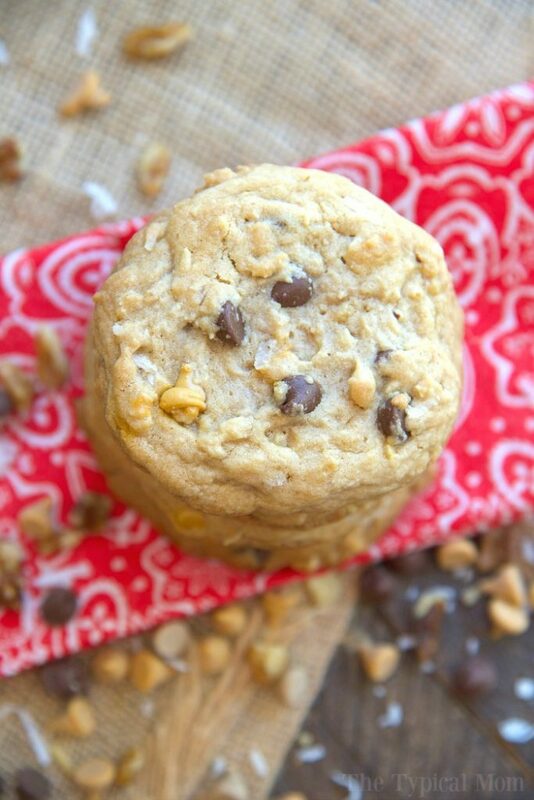 Sink your teeth into these perfectly sweet cowboy cookies. If you have never had a cowboy cookie you are missing out. Chopped nuts, coconut, chocolate chips and more. Whip up a batch of these whole grain chewy granola bars to take with you. Store in a sandwich bag and then when you want one you can easily grab and start munching on them. If you have little kids riding along, consider this Goldfish trail mix for them. Raisins, chocolate candies, a variety of Goldfish and more. A sweet and salty snack. 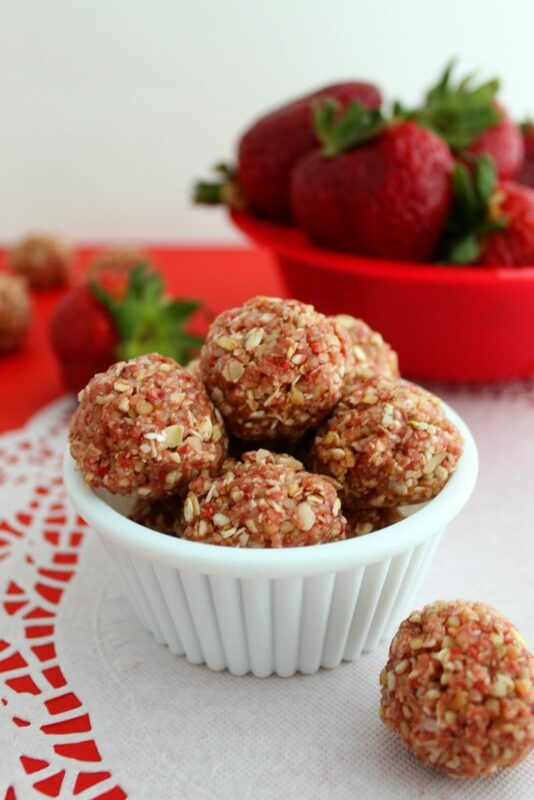 These skinny strawberry shortcake bites are vegan and gluten-free if you have dietary restrictions. A great on-the-go snack to help boost your energy and feel like you got a sweet treat. Crunchy baked sweet potato chips will give you the satisfaction from the crunch and help nourish your body. So simple to make and mighty tasty. Peanut butter banana protein muffins are really tasty, and miniature size. 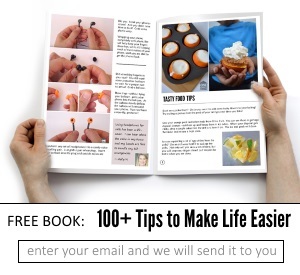 I love bite-sized items for traveling cause in a bite or two they are gone and not stuck holding onto a full-size muffin. 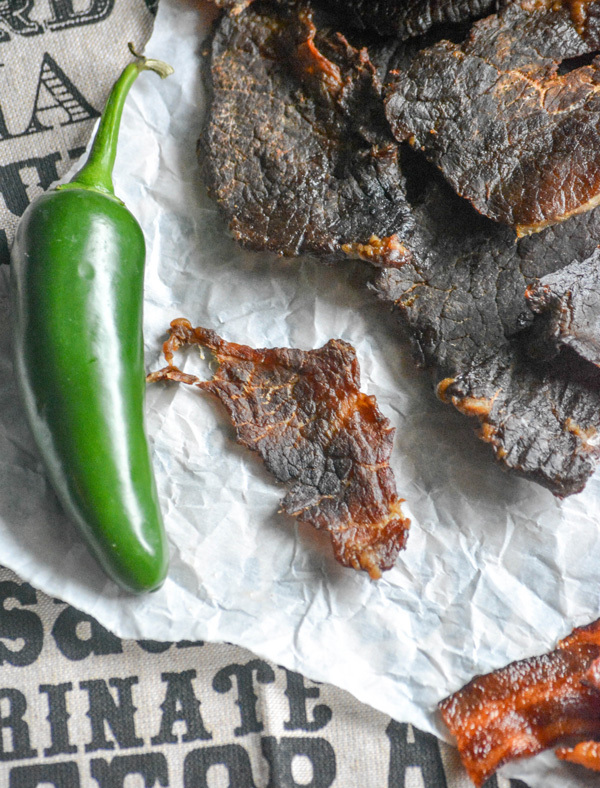 A savory option that has some sweet is this Dr. Pepper Jalapeno Smoked Jerky. Make this at home and then just pack up what you want to take for your road trip. It travels well. Sweet lovers will enjoy this irresistible lemon lime trail mix. Crunchy and sweetened corn Chex, sour candies, and a drizzle of chocolate to complete the mix. Seasoned oyster crackers are always tasty to take. They are oyster crackers that have been cooked with seasoning. Affordable and so easy to make in your slow cooker. Looking for a snack that packs some heat. 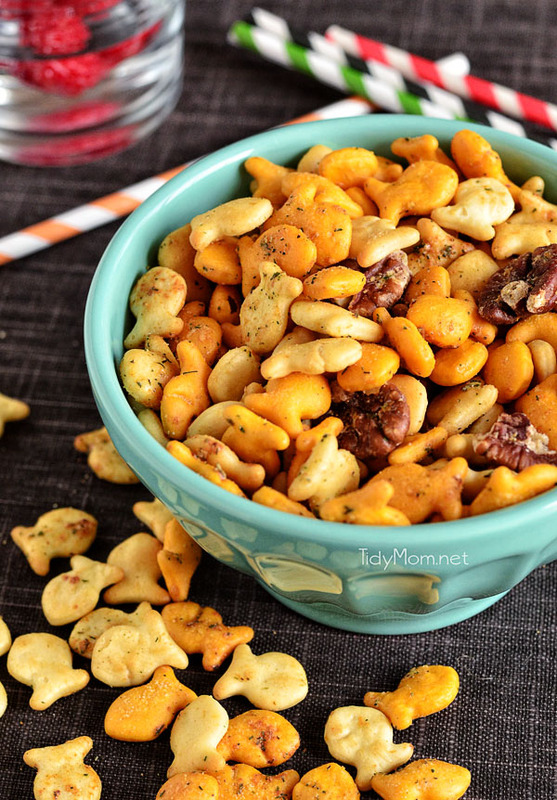 This spicy ranch Goldfish snack mix is a good option. A good mix is always nice. This has different crackers, pecans, and seasonings for a savory snack option. Need a chocolate fix, then whip up these mini brownie bites. You get the same flavors from a brownie but in a bite-size form, so they are perfect for traveling and munching on. Here is a simple fruit leather recipe you can make to get some sweetness when you are traveling. These are also great for kids who want a little sweet treat when they travel. What is your favorite snack for eating when you travel?